"The US still leads the world in technology & innovation. The US has the workers needed to build these innovations. We have what it takes." [...] carbon capture & reuse, energy efficiency & storage, climate adaptation & resiliency & data analytics for better climate predictions. "The big benefit of denying #climatechange is that we can continue to use fossil fuels. But there are costs of denial." "We're talking about a potential to create millions of jobs in this country," @RepMcNerney says, arguing for clean energy jobs.
.@RepMcNerney says, "We see wind and #solar being more than cost competitive with oil and other energy production."
. @RepJohnFaso thanks @RepLipinski for planning this bipartisan effort & says he's proud to be a member of the Climate #SolutionsCaucus. Now speaking on the floor is Climate #SolutionsCaucus member @RepBonamici (D-OR). She thanked co-chairs @RepTedDeutch and @RepCurbelo. "I have in my district the heart of Oregon wine country. People in my district fish, hike, ski, and we rely on those natural resources." "But we're very vulnerable to the effects of climate change. Our coastal communities are worried about the vitality of commercial fishing." "Climate change is not a partisan issue," @RepBonamici emphasizes. "We can no longer sit back and debate whether we should take action." She notes the connection between #climatechange and extreme weather, and says we need to learn more about this correlation. "Since the 80s, wildfires have been increasing in frequency and in duration, threatening life and public property in the northwest." Smoky conditions threaten pregnant women, elderly, and people with asthma. Hurricanes have devastated communities across the southeast. "We can grow renewable energy industries--there's so much potential. We can grow those economies & address #climatechange at the same time." "I will continue to work with the Climate #SolutionsCaucus to emphasize the importance of congressional action," @RepBonamici says.
.@RepBonamici says the #SolutionsCaucus is a "relief" to her constituents back home. Climate #SolutionsCaucus member @RepDonBacon (R-NE) could not attend in person, but his comments will be submitted to the record. "It's no coincidence that this project began with two representatives from Florida," he says, referencing sea level rise. "You can see the entire environment changing in front of your eyes," @RepTedDeutch says, quoting a scientist. He says this is true in FL. "Looking out of our windows, we see what's already there," @RepTedDeutch says. "1 in 8 FL homes could be underwater." "These aren't risks of a distant future," he says. These are risks that are affecting Floridians today and threatening our children. The Climate #SolutionsCaucus is "30 Democrats and 30 Republicans committed to changing the conversation," @RepTedDeutch says. He reiterates his invitation for members to join the caucus. "Lift up the voices of the farmers, scientists, and families in your district!" "Addressing #climatechange is essential to our national security," @RepTomSuozzi says.
.@RepTomSuozzi strongly urges moving toward a clean energy economy to reduce dependence on foreign oil.
.@RepTomSuozzi explains the connection between the extreme drought which plagued Syria, drove farmers into cities, and strained the gov't. "Our enemies are aided by the effects of #climatechange and the instability it causes," he says. "Climate change & rising sea levels pose serious long-term security threats to the country," @RepTomSuozzi says, quoting military officials. Speaking next is Climate #SolutionsCaucus member @RepCarbajal (D-CA). "We are out of time to debate the reality of #climatechange."
. @RepCarbajal, along with @RepCurbelo, will introduce H.R. 3533, the Bipartisan Coastal State Climate Preparedness Act. "It is imperative that we invest in readying our infrastructure for the next extreme weather event," @RepCarbajal says. "I represent a community where most people live near sea level," @RepCurbelo says, referencing the ongoing hurricane recovery. "The Climate #SolutionsCaucus is not about blaming people, it's not about pointing the finger: it's about solutions."
. @RepCurbelo explains the phases of the caucus: Phase 1, start the conversation in a bipartisan way. 3: Find bipartisan climate legislation. "We're going to provide opportunities for American innovation & growth. Good, high paying jobs." "We have led the world for the last couple centuries---we can also do it on this #climate issue," says @RepCurbelo. "Let's change the world for the better," @RepCurbelo says, inviting his Republican colleagues to join the 30 who are already on the caucus. "We have seen that at times of crisis, our government and this Congress can come together," he says, referencing recovery efforts. "My district saw this type of governing," Panetta says. He mentions the town of Big Sur, in particular, which lost a bridge in a landslide. But recently, Panetta stood on the brand new bridge. "It was a story of government working: getting things done to help people." He mentions a David Brooks article called "We used to build things." Throughout history, he says we have always built things to help people. "It's our turn to build things in a smart & resilient fashion," Panetta says, like strong infrastructure to withstand extreme weather. Panetta references a report after Hurricane Sandy and 2015 flood standards, which was recently rolled back by Trump's administration. Last month, in response, @RepJimmyPanetta and @RepCurbelo introduced the Federal Infrastructure Flood Resiliency Act. "By investing in more resilient project design, communities will be able to recover more quickly & prevent future loss of life & property." Closing the loop with his bridge story, Panetta says "It made me proud. It also made me realize we need to stop governing by crisis." "We need to start governing with leadership. The Climate #SolutionsCaucus understands, and believes that we in Congress need to lead." "We do that by coming together. We do that by talking about the risks of #climatechange. And we don't necessarily do it for us." Thanks for following along with our live stream. What an inspiring evening of bipartisan #climatechange discussion! Thank you to all of tonight’s speakers and to the whole Climate #SolutionsCaucus for your leadership! P.S. Press questions about the #SolutionsCaucus or CCL? Email Communications Director Steve Valk at steve@citizensclimate.org. This infographic drives me nuts, as it has gone completely viral multiple times and people share it basically uncritically. We need to talk about it. 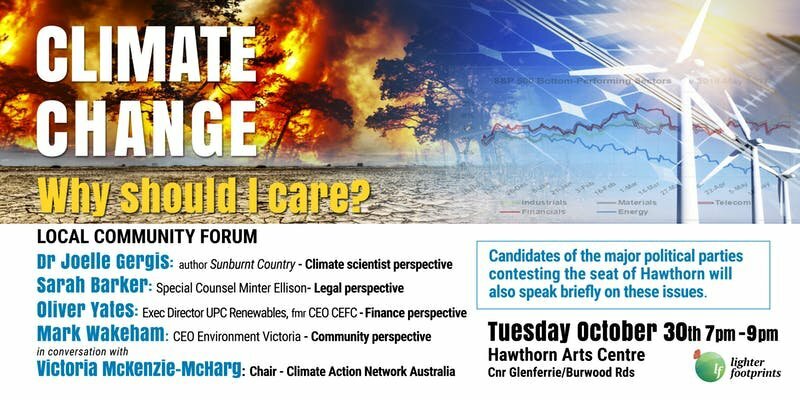 "Climate Change: Why Should I Care?" i'll be live-tweeting in this thread. …in conversation with @VictoriaMcKMcH of @CAN_Australia. Temps hit 90 degrees 59 miles north of the Arctic Circle on July 17. 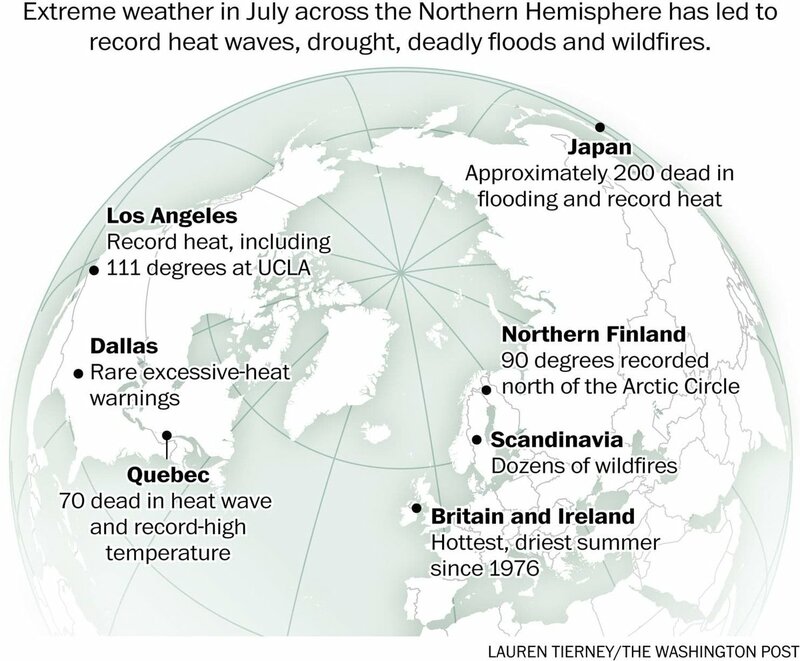 Japan recorded its highest temperature in history, 106 degrees, in a heat wave that killed 65 people. Ouargla, Algeria, hit 124 degrees on July 5. It’s Britain’s driest summer since modern records began in 1961. "The amount of carbon dioxide in the atmosphere reached 410 parts per million in May, the highest the Mauna Loa Observatory in Hawaii had measured since Charles David Keeling started keeping records in 1958."